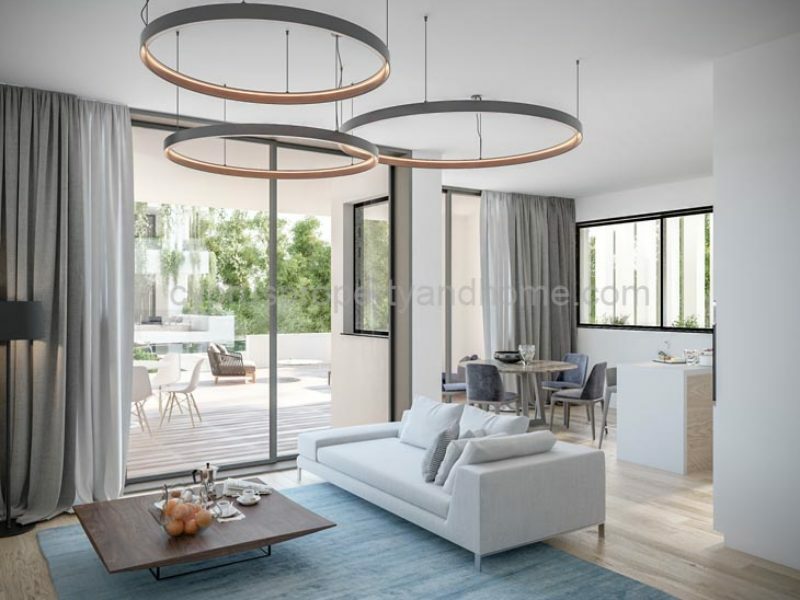 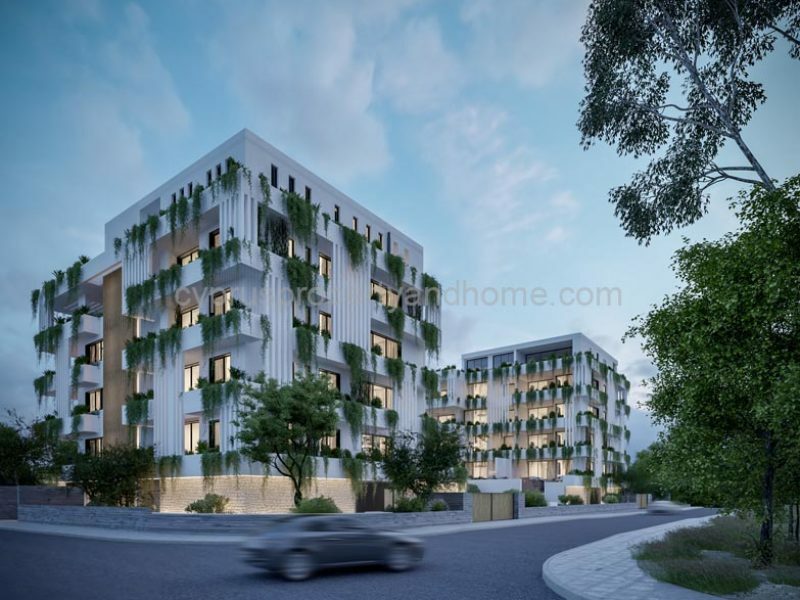 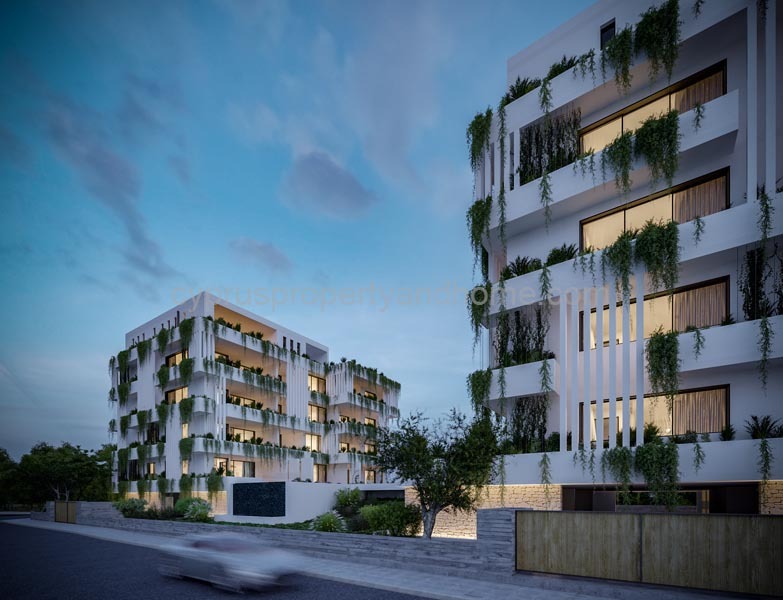 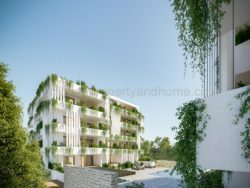 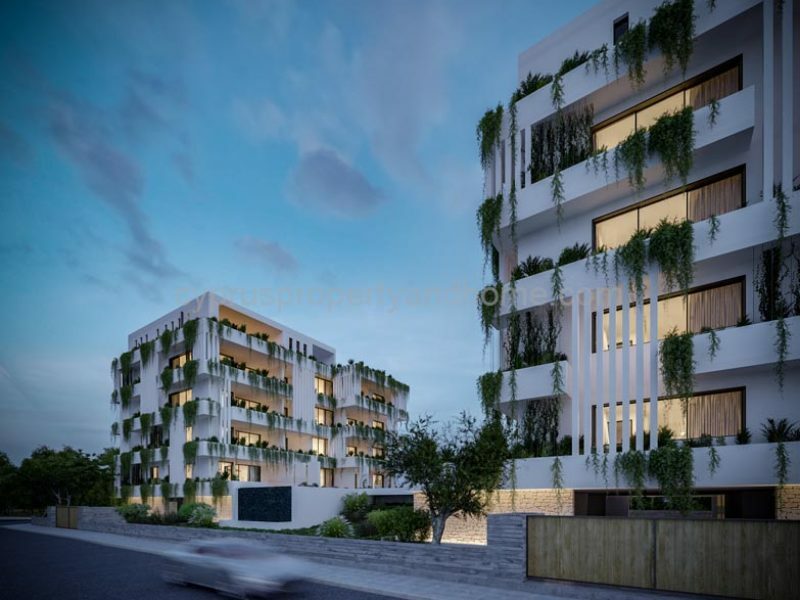 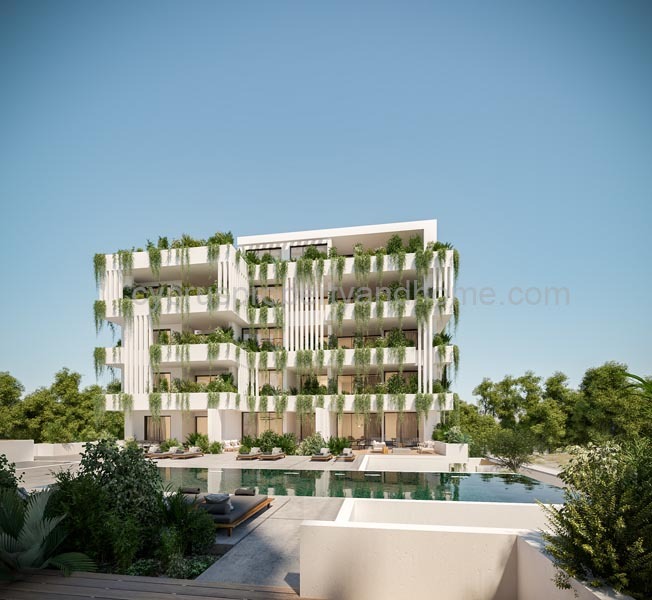 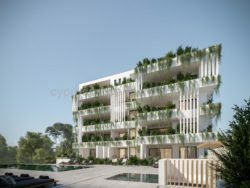 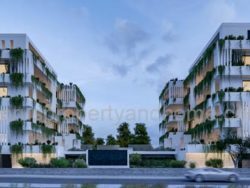 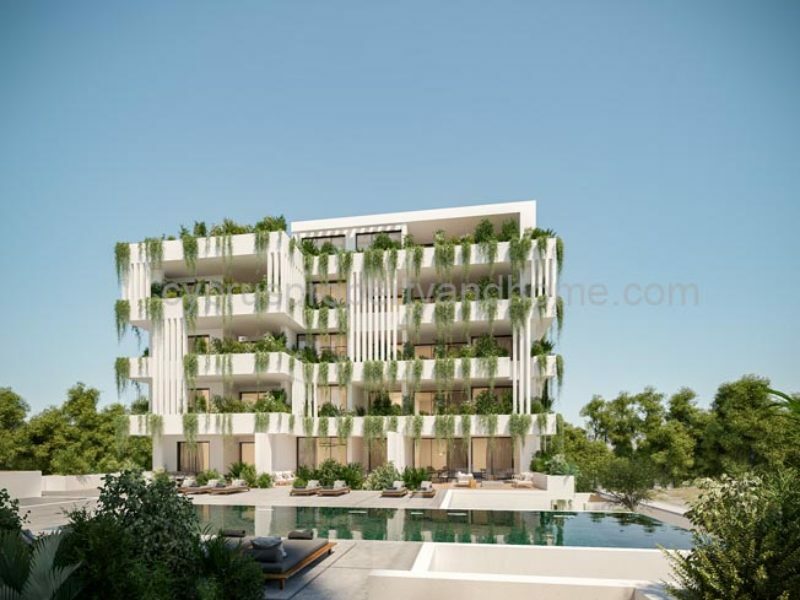 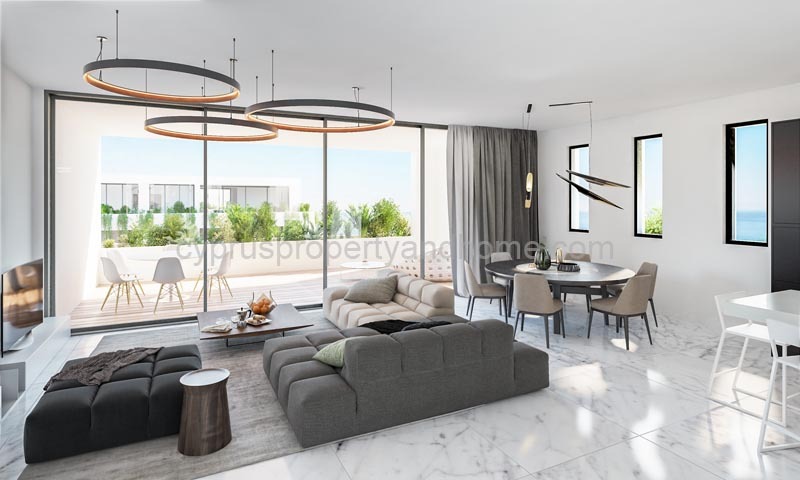 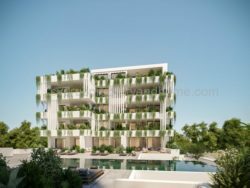 Situated on Kings Avenue in the very heart of Kato Paphos, this high end development is a remarkable new project consisting of two five-storey buildings housing luxurious residential apartments. The architecture is a modern take on a fusion of concrete, wood, ceramic, bronzed aluminium and a lovely green facade carefully crafted to both complement and contrast with its surroundings. 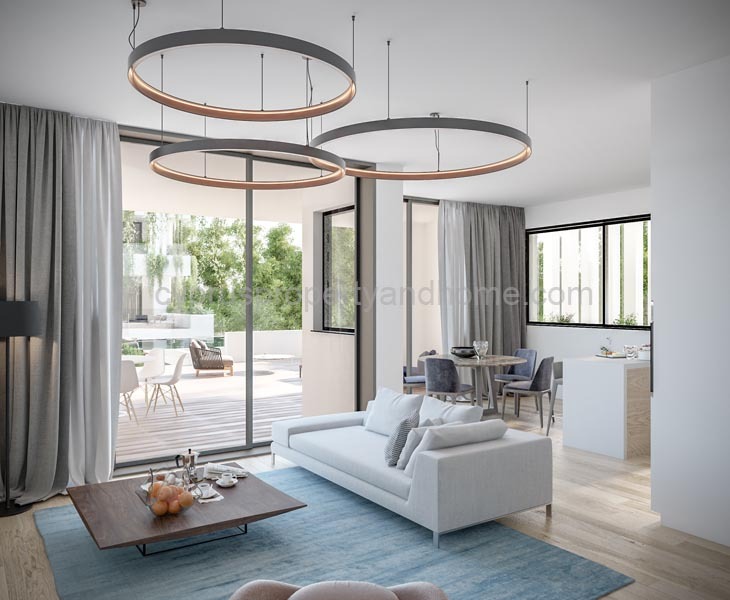 The sumptuous, contemporary apartments have been designed without compromise and built with the utmost attention to detail. 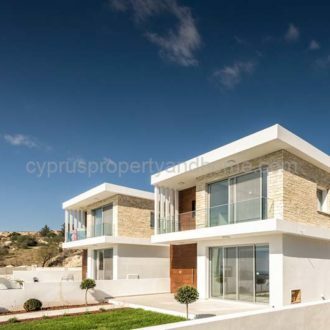 Most boast outdoor space, some on a spectacular scale, and many offer breathtaking views over the lighthouse and the Mediterranean Sea. 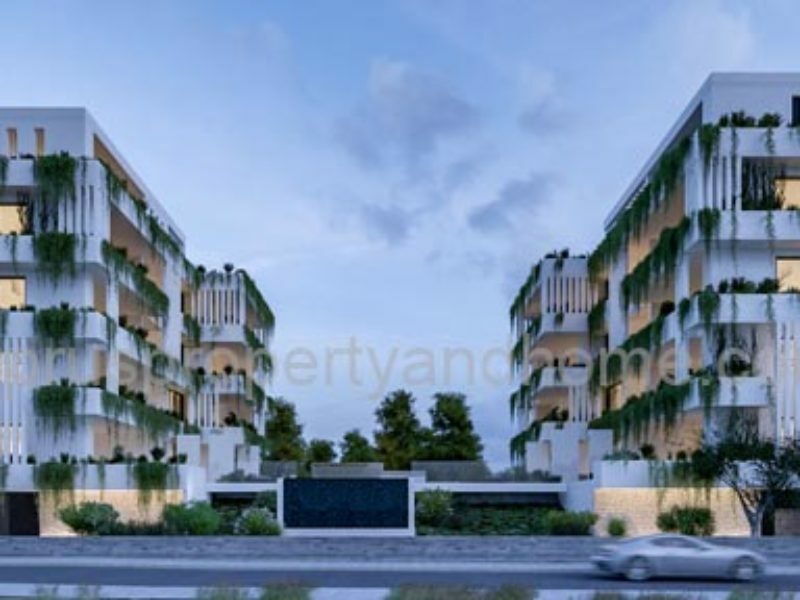 From the moment you set foot in the elegant lobby, you are greeted by all the hallmarks of a luxury lifestyle. 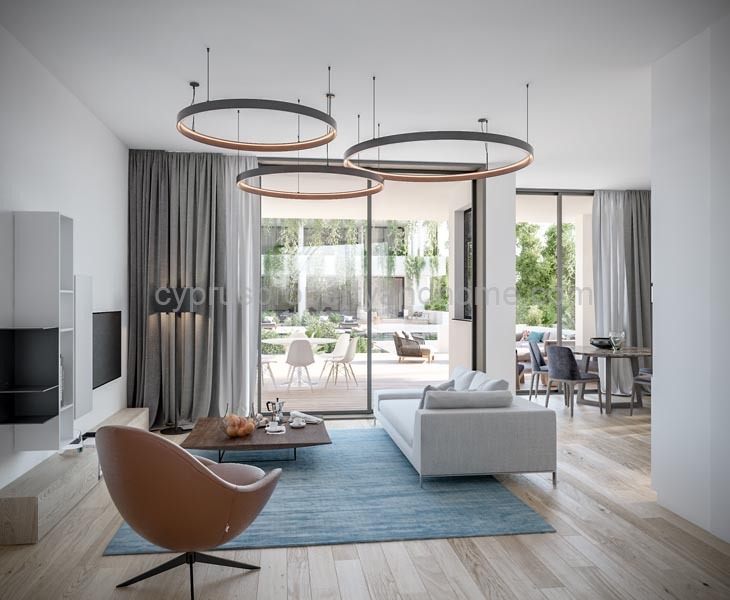 This beautifully appointed atrium with waiting area sets a tone of refined sophistication, while Wi-Fi access ensures that visitors can stay connected. 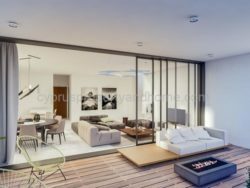 Modern elevators take you to the apartments and to the parking and storage rooms on the ground level. 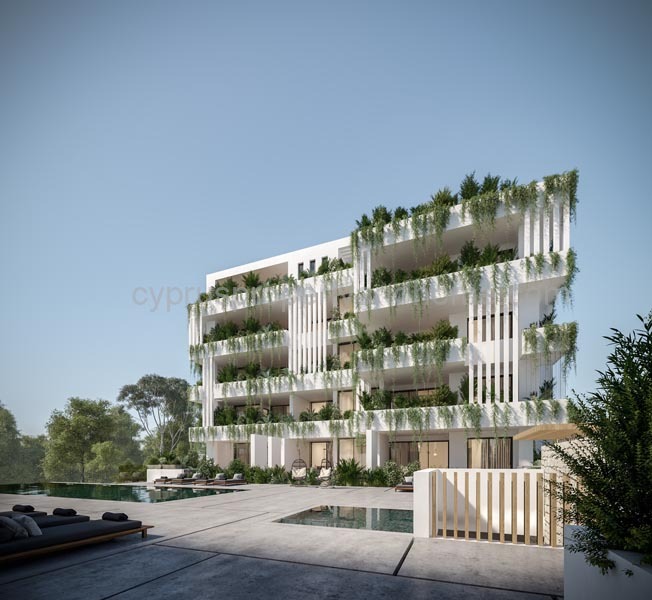 Next to the lobby’s imposing entrance, a water feature and double doors lead to the courtyard garden, which is a beautifully landscaped area alive with greenery, while a scaled heated pool set between the two buildings is strictly reserved for residents. 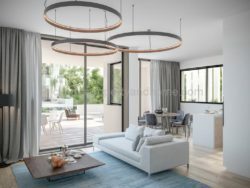 From design and construction to finishing materials and installations, every property is based on high-end specifications. 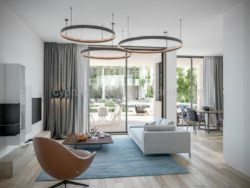 Fixtures and fittings from some of the world’s most respected brands and trusted manufacturers have been combined to remarkable effect in the interiors of this development. 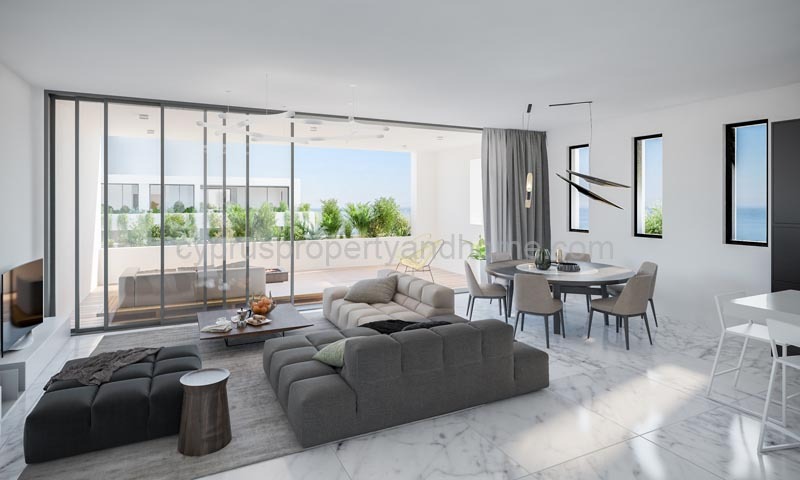 The individually designed Italian kitchens are fitted with a full range of appliances that have been seamlessly integrated into bespoke layouts. In the bathrooms and en-suites, additions like heated feature walls enhance the elegant floors and walls with maximum comfort. 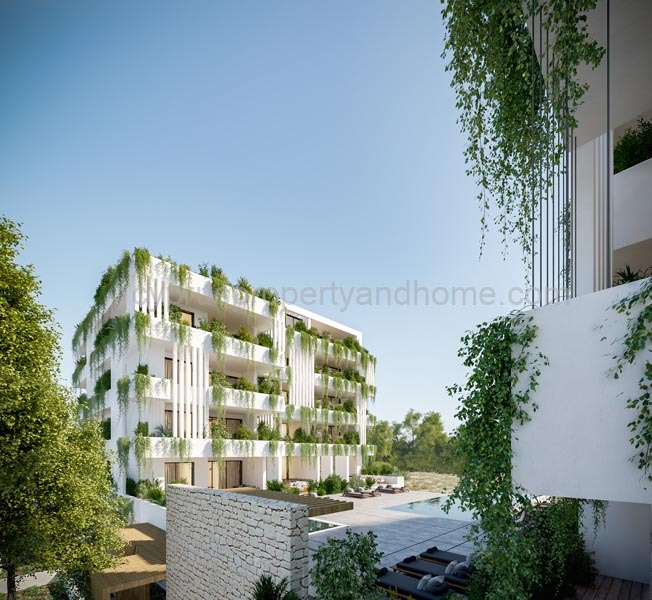 The 1, 2 and 3-bedroom apartments and penthouses offer a perfect blend of indoor and outdoor Mediterranean living. 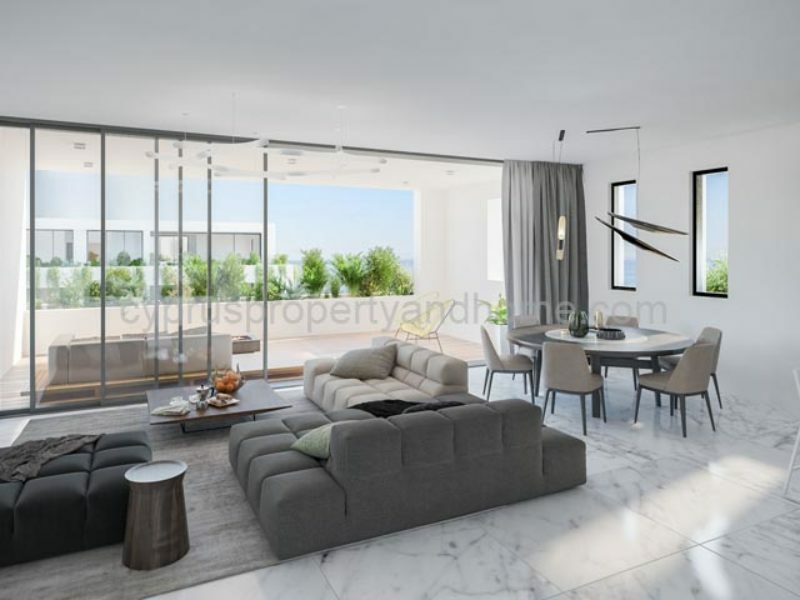 In many cases, the generous interiors are combined with spacious terraces. 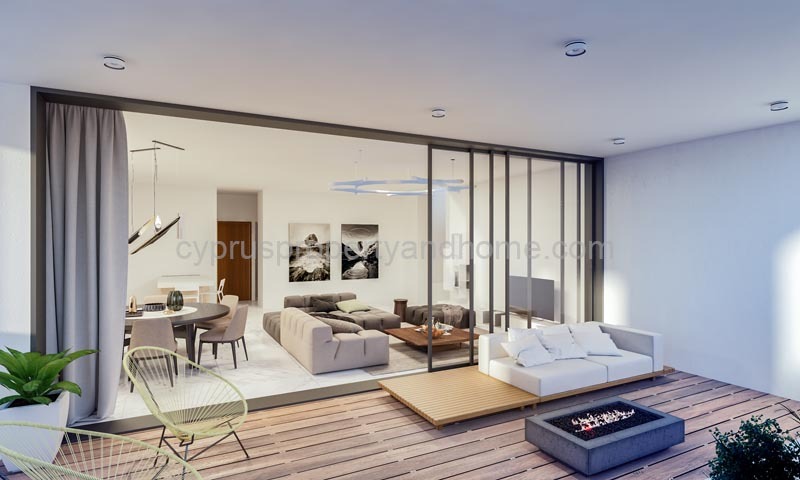 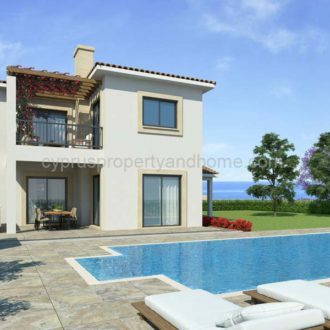 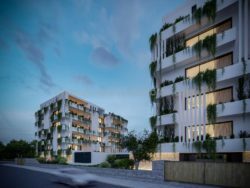 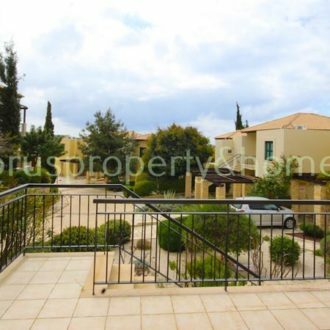 The first to the fourth floor are allocated to beautiful homes with different views, overlooking either Paphos town, Kings Avenue Mall or the Lighthouse beach. 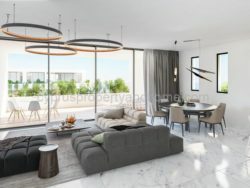 Every apartment indeed, every room has been carefully designed to offer a high degree of flexibility, whether to relax on your own or to entertain your visitors. Full-length floor to ceiling glazing offers abundant natural light as well as striking Paphos views. 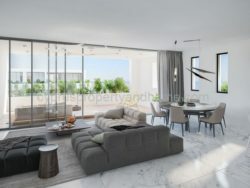 The combination of the property’s location and the architect’s vision gives this development a unique footprint: very few homes share a common layout, and almost every apartment has its own unique character.